At times your loving pet can suffer from some mishap and can get handicapped due to which he cannot move or walk properly. He may suffer from the damage of leg, hip or back which results in the obstacles in his body movement. As an owner or pet lover, you cannot see your pooch in pathetic condition. To avoid this terrible situation, he has to depend on the wheelchair to have the comfortable life. 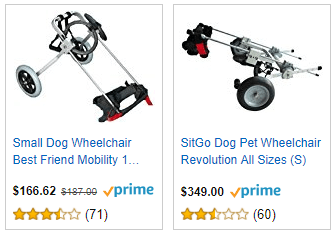 Now the question is how to make a dog wheelchair at home. In this post, you will get the guidance about the same. You all must be familiar that the size of the dog varies even when they belong to the same breed. So you have to consider the length and width of your pet before building a dog wheelchair so that your precious pet can aptly fit in it. Let’s proceed further to gather the knowledge and understanding regarding how to build a dog wheelchair. Take the measurements – You first take all the measurements of your pooch regarding length, the distance from the rear legs to his chest, measure the portion from the belly to the ground and the area from his left to right side. After taking all the measurements jot down on the piece of the paper. Formation of PVC wheelchair- To provide the side support to your disabled furry friend take the measurements of the PVC equal to the length of your dog. To take account of the wheels and the couplers of the upright support, you have to consider the PVC 4 ½ inches smaller as compared to the area of your pet’s underbelly to the ground. For front and back support, the two lengths of the pipe should be measured in accordance to the pooch’s left to right edge. Use the metal saw to cut the lengths of the tube. Now you have to find the center of the vertical supports that are four in number. You can take help of measuring tape to find the middle point. After measurements divide the pipes into half by cutting all of them with the metal saw. In the middle take a three-way coupler to connect two pieces. Attachment of horizontal and vertical support- Insert two horizontal supports between the attached left front and rear vertical supports. At the top of each vertical support, place a 90-degree elbow coupler. Into each 90- degree elbow insert the top horizontal support. Connect the front and back three-way couplers with the bottom of the horizontal support. For the right side follow the same procedure. Fit the caster- At the end of the vertical support keep a three-way elbow coupler. At the bottom of the coupler, insert the caster fitting. To the inside of the wheelchair the open side points with the help of the rotation of the coupler. In all the four vertical legs inset the caster. In one of the open slots of the three way, couplers fasten the front and rear supports to the legs by putting each end into it. Webbing the divisions- Take two pieces of nylon webbing which should be lengthier than the space between two side supports and then place it. Behind your pet’s front leg one should be fitted while the other in front of the dog’s back legs. To know the setting of the belts you have to place the dog into the structure. Stitch the webbing all-around the PVC pipe with needle and thread. Your dear pet will experience more coziness due to the long webbing divisions in comparison to space among the pipes. Adjust the position- Now finally move your precious pup into the wheelchair. The height of the legs should be adjusted to make him comfortable. Observe that his paws must touch the ground. Be particular that he spreads his legs properly to the ground by keeping him high enough. 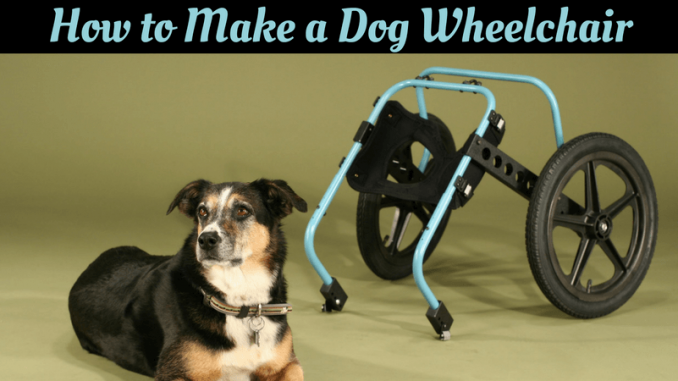 All the above points will help you to set DIY dog wheelchair for your helpless pet. This wheelchair will make his life lively and colorful as he can move freely here and there without any obstructions. It will be boon for him. In starting your pet will take time to get familiar with the wheelchair but with time he will develop the habit of it.